Dairy commodities have the interesting characteristic to be part of the exchange quoted and non-quoted commodities. The variety in products categorized as dairy is relative large. Butter, Milk, Whey-powder for example. Dairy commodity trade and risk management therefore requires usually intensive logistics support as well as risk management features as in many regions dairy products can be hedged or traded by derivatives. In addition dairy requires a multiple set of pricing methods e.g. pricing by content, differentials/premiums or flat. Agiblocks supports this hybrid feature requirements for Dairy by the configurability for dairy based products in respect to pricing, logistics and hedging. When derivative markets are used the specific derivative structures are pre-setup in Agiblocks, providing an excellent view on positions and in the same time the execution of deliveries. 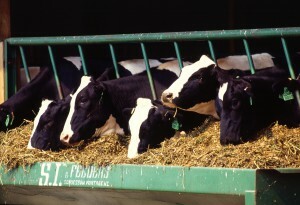 More information about dairy as a commodity is available in our commodity knowledge center.